Simple menu prompts guide verification that the battery and communication systems are properly connected and balancing or de-powering operations can safely begin. 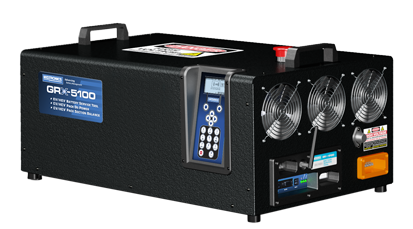 By enabling service for the battery system at the module level, The GRX-5100 reduces manufacturer warranty costs and repair time and expense for customers. 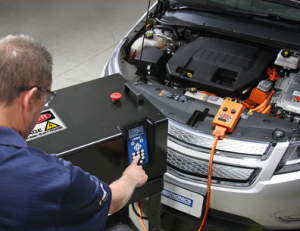 Another key feature is its ability to safely de-power high-voltage batteries and packs in vehicles that have been involved in severe collisions to a safe level for storage, recycling or shipment. The GRX-5100 features a versatile electrical harness between vehicle batteries and communication systems via unique adapters for each vehicle model. The station also utilizes USB-based memory, which supports system updates for future vehicle battery systems without a hardware upgrade.